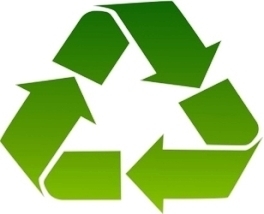 Go Green and attract new customers with these environmentally friendly bags.These bags are FDA compliant and have a heat-sealed bottom to prevent leaks. They are also grease resistant to keep butter topping from leaking through the bag. Available in 32oz, 46oz, 85oz, 130oz, and 170 oz. sizes. These products ship from our Cincinnati, Ohio factory. Eco-Friendly Popcorn Bags 2259E Eco Friendly Popcorn Bag 32 oz. 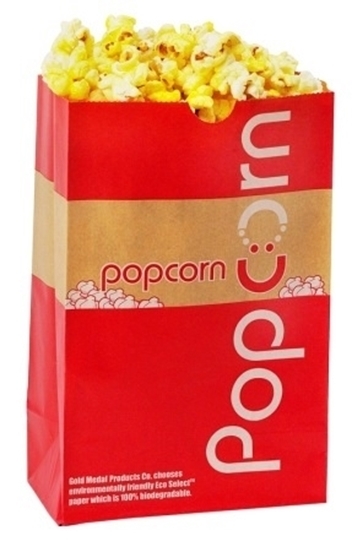 Eco-Friendly Popcorn Bags 2208E Eco Friendly Popcorn Bag 46 oz. 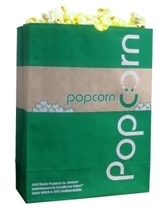 Eco-Friendly Popcorn Bags 2209E Eco Friendly Popcorn Bag 85 oz. 3" x 3.5" x 8.5"
Eco-Friendly Popcorn Bags 2232E Eco Friendly Popcorn Bag 130 oz. 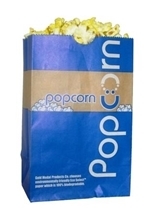 3.5" x 7.5" x 9.5"
Eco-Friendly Popcorn Bags 2210E Eco Friendly Popcorn Bag 170 oz. 3.5" X 7.5" X 10.5"